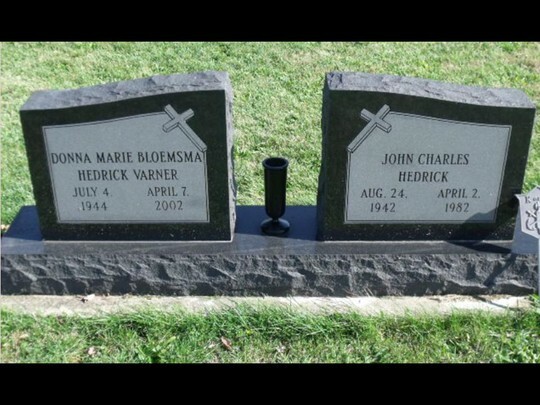 Donna is buried in Saint Lawrence Cemetery, Champaign County, Illinois. Donna was born July 4, 1944, and passed away April 7, 2002. She was married to John Hedrick who preceeded her April 2, 1982. She then married Richard Varner in 1987. He passed away March 24, 2012.